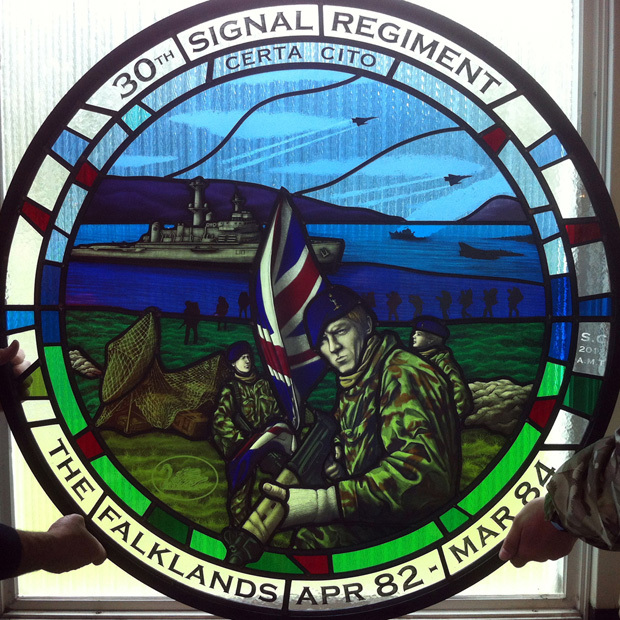 We were commissioned to produce a stained glass window for the church at Gamecock Barracks, Bramcote, Warwickshire to commemorate the 30th anniversary of the regiment’s involvement in the Falklands Conflict. The window shows the regiment setting up communication infrastructure within San Carlos Bay. This was witness to some of the heaviest fighting. In the background we can see HMS Fearless and the sinking HMS Antelope with Argentinean Mirage Jets flying low in the area. 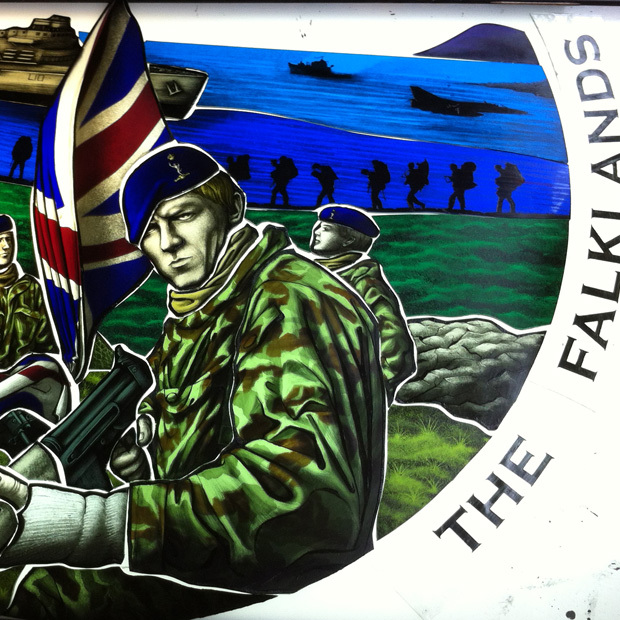 With advice from veterans and our own extensive research we’ve ensured that every detail is accurate right down to the company badge on the berets. 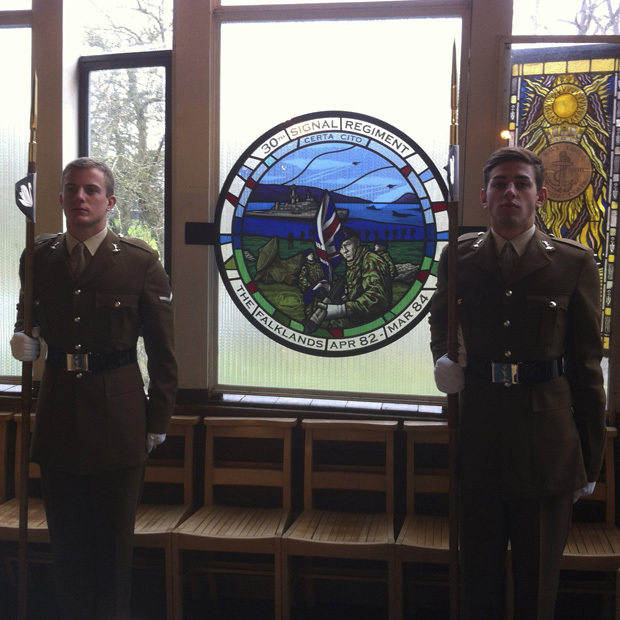 The window utilizes various techniques including acid etching for the berets and Union Jack, silver staining and painting. The window is fitted within a stainless steel powder coated frame with a shaped bar for support. When completed Steven was very kindly invited to the Remembrance Service performed by the Deputy Chaplain General where he had the honour of meeting one of the veterans.